No matter how clearly our world of online photo albums, Google Docs, and e-cards may seem--yet again--to ring the death knell for anything on paper, sometimes you still want to print. But these days, you want to print from whatever device you happen to be using--not just from a PC. The year 2012 will bring more options for mobile printing via a wireless connection to a local device, and for cloud printing--using email as the backbone for printing documents to a local or remote printer with its own email address (and an Internet connection). Mobile printing at the consumer level started with phone apps that let users send photos directly to a nearby printer via Bluetooth or Wi-Fi. Those simple utilities still exist, but a year or so ago, Apple, Google, HP, and Lexmark began introducing further innovations, bringing us to where we are today. Apple's AirPrint, which debuted a year ago, lets you use Wi-Fi to send a wide range of print jobs directly from an iOS device to a nearby AirPrint-compatible printer. Initially, those printers were limited to a handful of HP models, but the growing list now also includes printers from Brother, Canon, Epson, Kodak, and Lexmark. For more information, check Apple's list of Airprint-compatible printers. 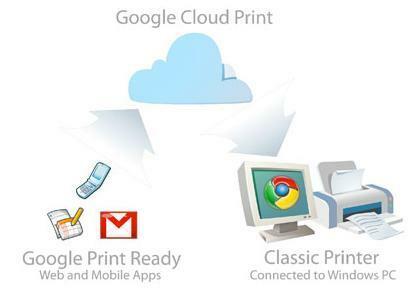 Google's Cloud Print app, available in what seems to be perpetual beta form, lets users print via email on any printer connected to a computer that has Internet access. New printers designated as Cloud Ready from Epson, HP, and Kodak can receive jobs without the PC middleman (though they still need an Internet connection). In late 2010, HP unveiled Web-based Print Apps for printing everything from maps and movie tickets to puzzle pages for kids. It also launched the consumer version of ePrint, which lets users email a print job from anywhere to an ePrint-compatible HP printer. The year 2012 will bring more apps and more compatible printers. Also, HP has relaxed the ePrint process a bit, making it a little more user-friendly and resolving some difficulties associated with printing from certain phones or platforms. Around the same time, Lexmark's SmartSolutions--a growing collection of productivity apps available with certain Lexmark small-office printers--added apps that let users display RSS news feeds or the weather report on a printer's color LCD. Since then, the SmartSolutions collection has grown to include ways to access a number of popular online services, from Facebook and Twitter to Box.net and Evernote. In addition, Lexmark recently launched mobile printing apps for Android, Apple iOS, Google Docs, and Google Cloud Print. In 2012, vendors that are playing catch-up will give you more choices. Canon's fall 2011 lineup included two printers (the Pixma MG6220 and Pixma MG8220) with a number of advanced mobile capabilities: the Easy-PhotoPrint mobile app, for printing photos from compatible Android and Apple smartphones and tablets; Pixma Cloud Link, for printing Google Docs and Gmail attachments from a mobile device; and (for registered users of Canon iMage Gateway or Picasa Web Albums) access to photo albums and printing templates for stationery, calendars, and other pieces. Another new Canon model, the Pixma MG4120, is partially compatible with Pixma Cloud Link--but only in connection with its photo-oriented features, not with its broader document printing features. Epson has collected its new mobile and cloud printing services under the umbrella brand of Epson Connect. Email Print lets you send an email message from a mobile device to an enabled Epson printer, which can then print the message or its attachment. Epson iPrint permits direct printing via Wi-Fi to compatible iOS and Android devices. A handful of new Epson printers are also Cloud Ready. 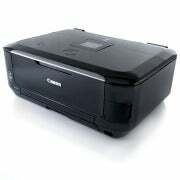 A full list of Epson printers with mobile and cloud printing capabilities is available on the vendor's website. Kodak is embracing mobile and cloud printing enthusiastically. Most of its new models are Cloud Ready, and all of its printers can use Kodak's own Email Print to email print jobs as attachments. Kodak is also trying to one-up HP ePrint by accepting larger email messages and email attachments than HP does. The year 2012 will be a good one for printers. Though the underlying technology hasn't changed much, the addition of mobile printing via Wi-Fi and of cloud printing via email now allows printers to follow their users onto their smartphones, tablets, and other mobile devices. Senior Editor Melissa Riofrio covers printers for PCWorld.